The age of supersonic passenger travel is coming very soon, if Virgin's Sir Richard Branson has his way. He's heavily investing and banking on it. American startup Boom Technology, which Branson is bankrolling, is developing a Mach 2.2 supersonic passenger jet. That converts into approximately 1,676 mph or 27.94 miles per minute. Its Baby Boom XB1 demonstrator jet will be tested next year to validate key technologies for commercial flights. XB1 is a 2 seater. Boom already has the Baby Boom engines in the hanger and is currently building the wings and tail. The supersonic commercial jet, carrying 55 passengers, will debut in 2023. Five airlines, including Virgin, have ordered 76 jets. Boom is getting ready for takeoff. 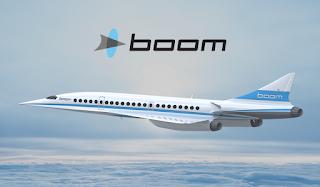 As you can see in the artist's rendering, Boom resembles the Concorde. It's an evolutionary design with a lot of extra lift. It has a range of 4500 nautical miles. At Mach 2.2, it's two and a half times faster than commercial jets. Boom is 10% faster than the Concorde. The Concorde hasn't flown in 15 years. It was riddled by high operating costs, poor fuel mileage and low passenger bookings. In Boom, the sonic boom generated in flight is greatly reduced. The boom is 30 times less than that of the Concorde. Boom will cruise at 60,000 feet. Who wouldn't love it. New York to London is 3:15 hours. That's half the current time of 7 hours. You could actually make it a getaway for a day. Roundtrip price-tag is $5000, the equivalent of today's business class. Or, LA to Sydney in 6:45 hours - half the time. 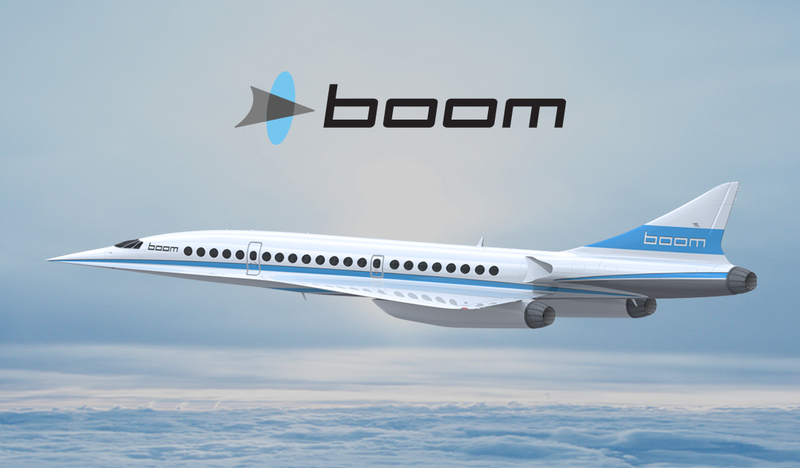 Japan Airlines and Branson's space travel company Virgin Galactic will operate Boom supersonic jets for Branson. Branson believes supersonic flights will fit well into 500 global markets. Supersonic jets are well under development. Besides Branson and Boom Technology, a number of other global entities are building them. Among them NASA which has a strong supersonic program in place. But, it's Sir Richard Branson who's approaching a supersonic travel future with supersonic speed.